Moniek Breen looks at striped jasper at the Tooele Gem Show held in the Dow James bulding. Breen traveled from Sandy to attend the show. 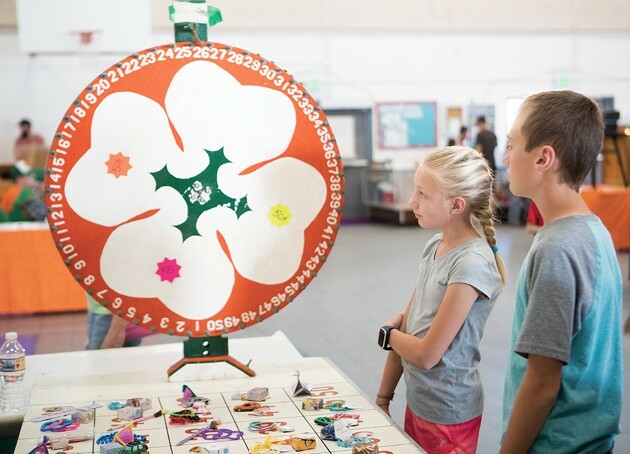 Braxton and Addy Allred watch the prize wheel to see what number it lands on. 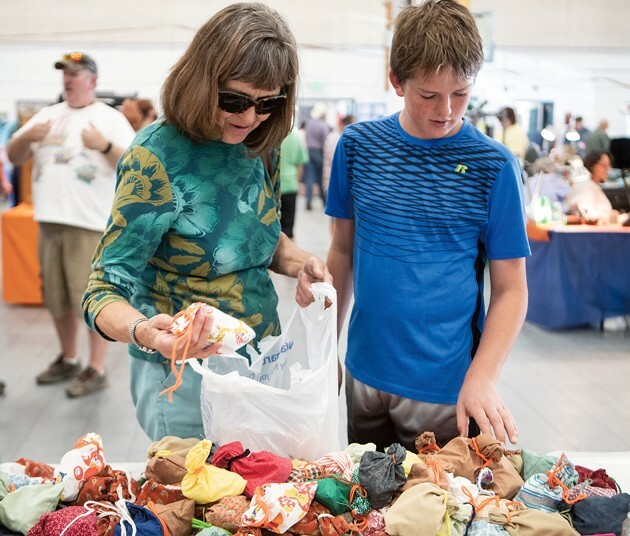 Connie Dow and her grandson Kaiden Dow pick out grab bags of rocks at the The Tooele Gem & Mineral Show on Saturday. 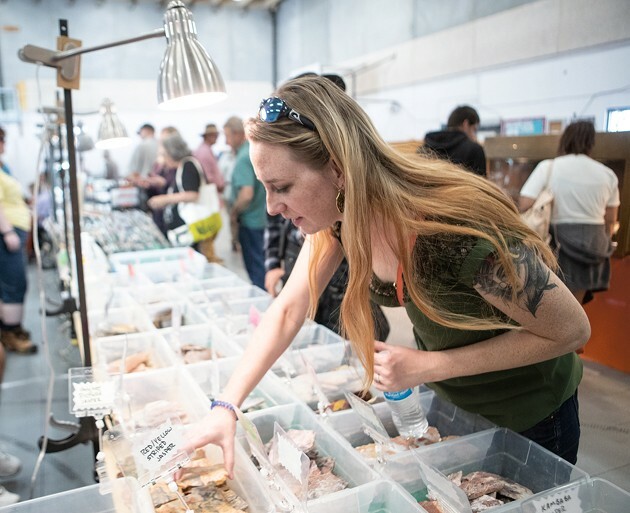 Visitors gathered at the Dow James building in Tooele Friday through Sunday to look at rocks, minerals and other items on display and available for purchase at the annual Tooele Gem & Mineral Show. Fossils, rocks, gems, jewelry and other merchandise were provided by vendors. Visitors also participated in other activities at the show. 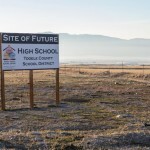 Tooele Gem & Mineral Show coincided with the American Heritage Festival outside at Dow James Park. The festival included a mountain man rendezvous, Native American Powwow. See photos of the American Heritage Festival in today’s Hometown feature.